Hi, This is an installation guide for new update Micromax A110Q Canvas 2 Plus Stock Rom V3. Stock ROM V3 is third update of Micromax A110Q Canvas 2 Plus. This update makes change in software & improves hardware performance of Micromax A110Q Canvas 2 Plus. Canvas 2 Plus has a powerful 1.2 GHz quad-core MT6589 processor along with 1GB of RAM, 4GB inbuilt memory and Android 4.2 Jelly Bean. 2. 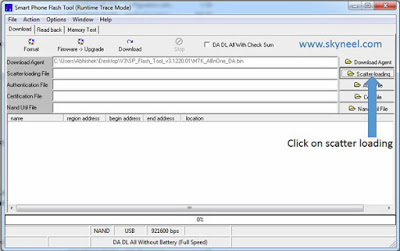 Take a backup of your IMEI no. 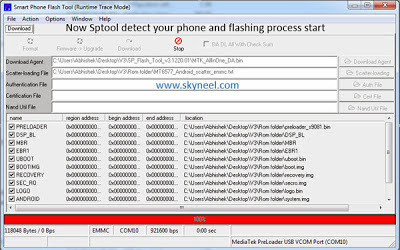 by mobileuncle tool Click here. 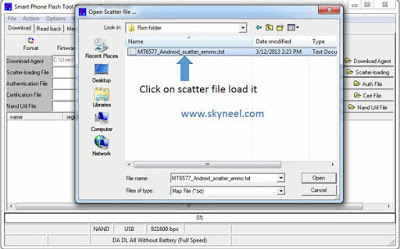 Step 1: Install drivers in your PC (If you feel any problem in install driver then watch this video Click here) and Enable USB Debugging on your Phone. 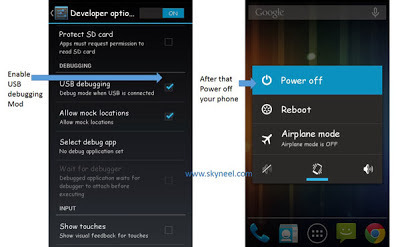 Go to Settings >>> Developer options >>> USB debugging check it (If your phone have Android 4.2 or upper version then see how to enable Developer options here is guide of this Click here). After then switch off your phone. After install new update Micromax A110Q Canvas 2 Plus Stock Rom V3, you can root your Canvas plus because root allows for you to use a maximum of your phone without any restrictions. After root you will install custom apps, custom Rom and custom setting in your phone. But you need read first Root Advantage and Disadvantage by this post and after then read this post for root your phone “How to Root and install CWM recovery in Micromax A110Q Canvas Plus”. if you want only root your Mobile then read this post How to root Canvas Plus. I rooted my A110Q phone, created recovery in CWM and deleted the whole root directory. As a result, It couldn’t boot. I used recovery and restored it but now IMEI is showing invalid and many other problems are there. Will this ROM make everything good? Please reply. Can i update stock rom v3 on my micromax a117 without computer?????? No, this is V3 Rom for Micromax A110. Can u clearly specify the name of the updated vesion for canvas a100q? After Successful flashing.I rebooted , all the features,camera,everything working fine but there is a bug with notification bar when i pull down the bar 1/4 of my screen becomes black and when i am back on home screen the screen is normal again. Please HELP. This was last update of Micromax A110Q. Reflash your privious stock Rom, then update this Stock Rom and don’t use download button, Click Firmware–> Update. No good. Problem is not solved. if your problem is not resolve then install previous Stock Rom v2. in my micromax a110 some Application auto matic download like “adds” ..
i do reset my phone nd hardreset also. so what can i do..
pzz help ma as soon as posible.. Flash this Rom on your phone then install a good antivirus. one question, if i factory reset my phone it will get to original settings & rom, right? Please reply as soon as possible as my phone is not working and its urgent for me. The folder you specified doesn’t contain a compatible software driver for your device. 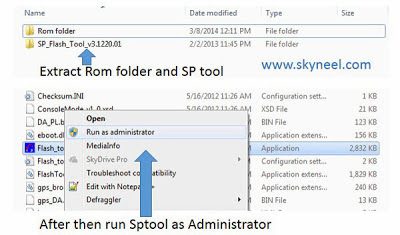 If the folder contains a driver, make sure it is designed to work with Windows for x64-based systems. I tried selecting XP, Vista as well as Windows 7 drivers (all 32 bit and 64 bit) but I am still getting this error. use windows 7 for installing driver. I have done several reboots, wiping dalvik cache, wiping cache partition, everything after installing roms, but they did not solve the 3g problem…. USB cable is not detecting.Upto 6th step i succesfully completed.after that i m not getting anything.can u pls tell me how the remaining steps will actually works?? I tried it but I got this error…brom error s_dl_pmt_err_no_space (5069)…I don't know how to proceed now? My phone is stuck on initial Canvas screen. Can something be done? wait for few min, if you phone not start after 15-20 min then reflash Stock Rom again. Please provide the procedure to do so…. How to update kitkat i use a110q any other idea ? so no software version upgrade also ?? Please reply urgently as am facing many issues using this phone. How to android kitkat update in micromax canvas 2 plus. Please upload CWM flashable rom…. Hi abhishek ji…..can i update from default stock ROM V1 to V3 ?? 1.If I Anytime Factory Reset my phone will i be rolled back to V1? 2.R We Going to Get Kitkat Update or its just a Rumour Because new canvas phones are coming with kitkat. Hi admin can you please tell me the main differences between the V1 ROM and the V3 ROM???? will that be a official stock rom only. Micromax working on KitKat for all Canvas phone. I could n't go to recovery mode.plz helppp………..! No, we do not need of net connection in this process. wait we will get KitKat update very soon. Is it a micromax official update?…If i don't like it can i reset my phone to preliminary state? this is Micromax official update and If you don't like this then you can flash your phone with V1 or V2 stock Rom. while i was flashing v3 on my micromax canvas 2 plus, i am getting error with sp flash tool such as sp tool logos error. please solve my problem. Hello, Sir Can You Please Tell Me The New Features Of The Stock V3 Rom. So then i will install it..
Its smooth and faster and bug free..Thnks a lot..
what the features of v3? But the rom is not pre rooted and has mmx bloatware. Everything is same but there are no bugs. Now. When i clicked on download in sp flash tools . the rom didnt intalled. When i did firmware update it then installed.. I have a bug in v3 rom..when i drag down the notification bar i see a black strip on screen…you guys have any solution for this? i cant flash v3 rom by sp flash tool.it says please upgrade firmware instead of download.i upgraded and the phn got into a bootloop.thn i roll bck to v2.please do hlp sir. Working method to Root V3 ???? Can anyone specify what are the changes made in the V3 ?? is v2 running in your Phone? What is features of v3 . V1 stuck in 14 % and then same error in v3 only v2 is running which is very buggy plz help me bro.